Ken made the joke that put the idea of the Smallest Theatre into Marcel's head. Not only that but he also performed in the Smallest Theatres version of the "Virgin and the gypsy", although we're not sure whether he played the virgin or the gypsy. 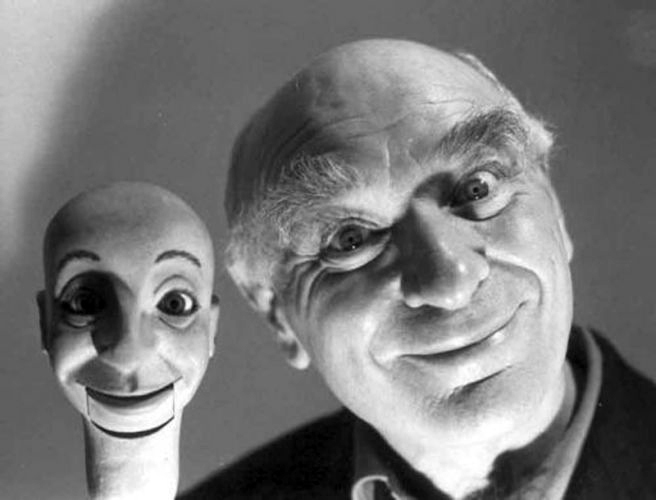 As well as being the creator of The Ken Campbell Roadshow, Ken Campbell was also responsible for instilling the ingenious idea of The Smallest in the World upon Marcel’s mind. One day Marcel arbitrarily brought a Panther bike and sidecar that he'd spotted in a showroom, which he then showed the company, to which Campbell responded: "That sidecar is ridiculous! You could build a theatre in there" and that’s exactly what Marcel did, hence the creation of The Smallest Theatre in the World! Campbell then went on to perform with Marcel in The Smallest Theatre’s production of The Virgin and the Gypsy. As an English writer, actor, director and comedian, Campbell was always occupied with an array of projects and ideas, one of the greatest ones being The Ken Campbell Roadshow which was formed in the early 1970s and featured the likes of Bob Hoskins, Jim Sylvester McCoy and Marcel Steiner. The Roadshow performances included enacting barroom tales of sexual and psychic mayhem, while banging nails up their noses and stuffing ferrets down their trousers. Eventually, the Roadshow developed into The Madhouse Company of London, which was a comedy troupe that performed in Boston in the 1970s. Other members included its creator Marc Weil, Jim Carter, Marcel and Tommy Shands. Another of Campbell’s greatest achievements includes his 22 hour theatre production of Neil Oram’s novel The Warp which ended up being listed in The Guinness Book of Records as the longest play in the world. The Warp is based on the real life experiences and adventures of author Neil Oram and is a dizzying trek through the nether reaches of gurudom and tireless post-sixties mind-expansion. The show opened at London's Institute of Contemporary Arts in January 1979. Campbell also produced a nine-hour theatre adaptation of the science-fiction trilogy Illuminatus. He and Chris Langham (actor, writer and comedian) actually formed the Science Fiction Theatre of Liverpool in order to stage it. The production featured Neil Cunningham, David Rappaport, Jim Broadbent, Bill Nighy and Campbell's future wife Prunella Gee. It later moved to the National Theatre, where it opened the new Cottesloe Theatre in 1977. Some of Campbell’s greatest TV and film ventures include: Law and Order (1978), In Sickness and in Health(1980), Private Schulz (1981), Fawlty Towers (1975), Poor Cow (1967), The Tempest (1979), Breaking Glass (1980), Letter to Brezhnev (1985), A Zed and Two Noughts (1985), A Fish Called Wanda (1987), Saving Grace (2000) and Creep (2004). Dave Danzig recalls his role of box office lady one night outside the first ever "Secret Policeman's ball". He was hiding inside the smallest theatre in the world waiting for the first customer. The customer knocked on the box office store and Dave opened it to find himself starring at Billy Connolly Billy who then climbed into the theatre. Billy adored the show. 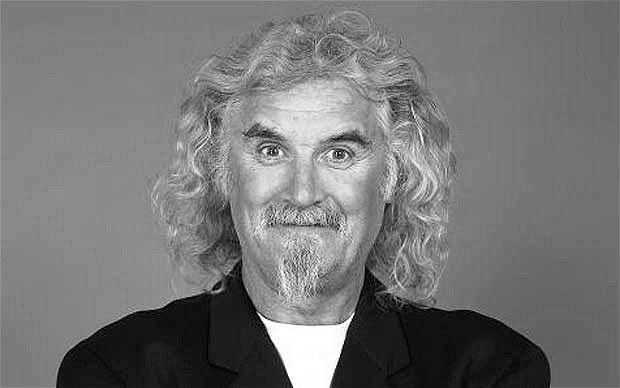 Widely known as a Scottish comedian, musician, presenter and actor, Billy Connolly first achieved widespread notoriety in his native Scotland before becoming a household name in England after appearing on The Michael Parkinson Show in the early 1970s. Connolly wrote The Secret Policeman's Ball (1979) which was a documentary about a series of benefit concerts that raised money for Amnesty International. Performances included comedy skits and musical numbers by a varied cast of mostly British performers. 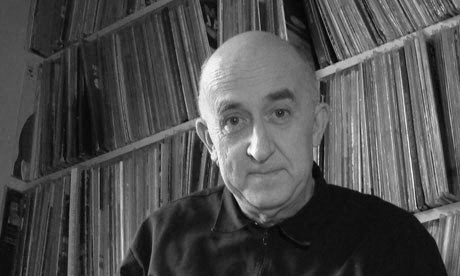 Marcel Steiner was featured in the documentary as well as a host of other names such as John Cleese, Rowan Atkinson and Sylvester McCoy. In 2003 Connolly was appointed a Commander of the British Empire (CBE). He first came to the attention of American audiences in 1990 when he joined the cast of the popular WB sitcom, Head of the Class. The show led to his character, Billy MacGregor, spinning off into his own sitcom, aptly titled Billy. From there, Connolly began to land small roles in major films such as Indecent Proposal (1993), starring Robert Redford. Since then, his film career has burgeoned and he has had the opportunity to act with some of the most prestigious names in cinema, including Richard Burton, Michael Caine, Mel Gibson, Liam Neeson, Willem Dafoe and others, but it was the award-winning film Mrs. Brown with Dame Judi Dench that won him international recognition as an actor. Connolly continues to work non-stop with roles in White Oleander (2002) starring Michelle Pfeiffer, Timeline (2003) The Last Samurai (2003) starring Tom Cruise. Open Season (2005) and its 2008 sequel in which he voiced the character McSquizzy, The Boondock Saints II: All Saints Day (2009), Gulliver's Travels (2010) and the voice of Fergus in the 2012 Disney/Pixar production Brave (2012). He also stars alongside Elijah Wood, Orlando Bloom and Evangeline Lilly in Peter Jackson's highly-anticipated 2012 film The Hobbit: An Unexpected Journey as well as alongside Maggie Smith and Michael Gambon in Quartet (2013). Silvester McCoy was an original member of the Smallest Theatre during it's very early days when he worked with Marcel as part of the Ken Campbell Road-show. Scottish actor Sylvester McCoy was involved with the Smallest Theatre during its early years, performing alongside Marcel, and went on to be famously noted for his role as Doctor Who from 1987 to 1989. He is also famously known for playing Radagast the brown, a wizard in the popular novel turner film, The Hobbit (2012). McCoy became the Seventh Doctor after taking over the lead role in Doctor Who in 1987 from Colin Baker. He remained on the series until it ended in 1989, ending with Survival. As Baker declined the invitation to film the regeneration scene, McCoy briefly wore a wig and appeared, face-down, as the 6th Doctor. He played the Doctor in the 1993 charity special Dimensions in Time, and again in 1996, appearing in the beginning of the Doctor Who television movie starring Paul McGann as the Eighth Doctor. McCoy first started out as a member of the comedy act The Ken Campbell Roadshow, along with Bob Hoskins, Jane Wood, and Dave Hill who would all start performing a range of plays with the umbrella theme of "modern myths." McCoy found himself in a double-act with Hoskins. After Hoskins left, and being booked at a circus, director Ken Campbell improvised a circus-based act about a fictitious stuntman called Sylvester McCoy and thought it would be amusing if the programme stated that this character was played by "Sylvester McCoy." While at the Royal Court Theatre, one of the critics missed the joke and assumed that Sylvester McCoy was a real person. McCoy like the irony of this, and adopted the name of his stage identity. During one of their UK engagements, the Roadshow team was invited up by Joan Littlewood, who was directing a production of The Hostage, before the performance of her play. This led McCoy to bona fide theater, and he was subsequently invited to appear in numerous plays and musicals. Jim Carter was one of the very first people to work with the Smallest Theatre in the World when it had its first big adventure in America in the mid 70s. 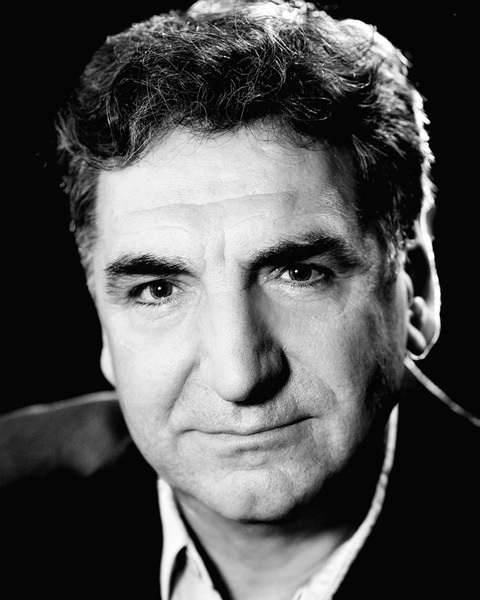 English actor Jim Carter began acting professionally in the early 1970s. He currently stars in Downton Abbey playing Mr Carson, a role that has earned him two nominations for the Primetime Emmy Award for Outstanding Supporting Actor in a Drama Series (2012,13). Some of his other greatest on screen achievements include The Madness of King George (1994), Richard III (1995), Brassed Off (1996), Shakespeare in Love (1998), The Little Vampire (2000), Ella Enchanted (2004) and The Golden Compass (2007). Carter’s first paid job was in a play called Gum and Goo by Howard Brenton for the Brighton Combination, a touring fringe theatre group, earning £5 a week, with free board and lodging. When asked, "If you hadn't become an actor, what would you have done professionally?" he answered, "I wouldn't have pursued law – I'd actually dropped out of law into English, I'd even changed my course. But when the offer came from this fringe theatre group, the Brighton Combination, to leave university and join them for five quid a week, it was like a door opening, and there wasn't a moment's hesitation. I walked through that door and never looked back. I have never earned a penny from doing anything apart from acting. I have never had another job." In the early 1970s, the Brighton Combination moved to the Albany Institute in Deptford, South East London. It was at the Albany that Jim Carter ran into Marcel and the Smallest Theatre in the World. In 1970, Carter performed in the show Come Together at London's Royal Court Theatre together with the Brighton Combination and the Ken Campbell Roadshow along with other theatre personalities and groups. From 1974 to 1976 he toured America with the Ken Campbell Roadshow and on his return joined the Phoenix Theatre in Leicester. Carter was also a member of The Madhouse Company of London, a comedy troupe that performed in Boston in the 1970s, which was created by Marc Weil in 1973. Other notable members included the late Marcel Steiner, Marc Weil and Tommy Shands. Ken Campbell was also associated with the group. The Madhouse Company was an offshoot of the Ken Campbell's Roadshow that came to New York City and Boston. It broke up eventually and Steiner and Carter returned to England. Some mystery surrounds Bob's association with the Smallest Theatre in the World. stopWe have no evidence that he worked as an actor inside it, that has a close friend of ourselves he would most likely have being a celebrity audience member. 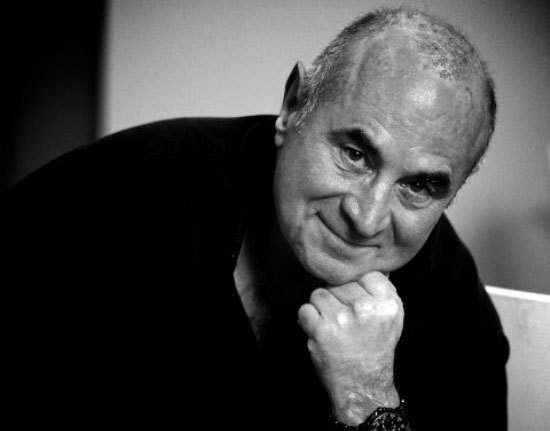 Oscar nominated, BAFTA and Golden Globe winning, English actor Bob Hoskins was a “brilliantly sweaty” and physical founder member of the Ken Campbell Roadshow, performing in pubs and clubs with Campbell, Marcel Steiner, Sylvester McCoy, Andy Andrews, Jane Wood and Dave Hill – this was his real training, as he expanded gleefully into macabre and sensational bar-room tales of mischief, murder and dropped trousers. Hoskins' acting career actually began rather serendipitously. One evening, he was waiting in the Unity Theatre bar for his friend, the actor Roger Frost, to finish an audition. Whilst drinking at the bar, he was given a script and told, "You're next." He got the part, with Frost ending up his understudy. Frost recalled that "Bob was a natural. He just got up on stage and was brilliant." Some of Hoskins’ most notable on screen successes include television roles such as Villains (1972), Thick as Thieves (1974), and Pennies from Heaven (1978), playing "Arthur Parker", the doomed salesman. Some of his greatest film roles to date are: The Long Good Friday (1980) playing the ultimately doomed "Harold Shand", The Cotton Club (1984), Mona Lisa (1986), which won him an Oscar nomination as well as a BAFTA award, Cannes Film Festival and Golden Globe), Who Framed Roger Rabbit (1988) (Golden Globe nomination), Mermaids (1990), Hook (1991), Nixon (1995), Felicia's Journey (1999) and Enemy at the Gates (2001). As well as his notable acting credits, Hoskins also found time to direct, write and star in The Raggedy Rawney (1988), as well as direct and star in Rainbow (1995), and contributing to HBO's Tales from the Crypt (1989) and Tube Tales (1999). Mark not only performed inside the Smallest Theatre but was also part of the infamous Madhouse company and was responsible for the Smallest Theatre's tour of north America. 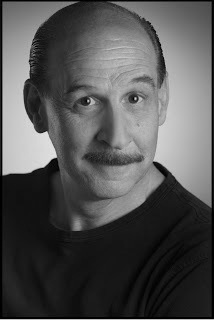 Creator of The Madhouse Company of London in 1973, Marc Weil presented comedic theater that interacted with the audience, years before the birth of today's popular interactive shows like Tony and Tina's Wedding. Other members of the company included: Marcel Steiner, Jim Carter and Tommy Shand. Weil brought his company back in 2002, in what he called a "Wild Stunt Show", at the Society Hill Playhouse for an open-ended run. Weil lives in Philadelphia and makes a living in writing and acting. "I made 150 TV commercials, usually with crazy voices. I did gag writing and played the comedy club circuit." But the Madhouse Company remained his favorite creation. "I was living in London in '73 and wanted to do a show to make you laugh without thinking about it, different from Second City and National Lampoon with their satirical and political humor. Universal, ageless, nothing topical, to pull the rug out from under people. I describe it as enhanced madness, or quiet lunacy. We played any venue from the street to a bar or on a motorcycle or in a concert hall." Weil says that The Madhouse Company's Wild Stunt Show is a combination of the Marx Brothers, Monty Python, the circus, vaudeville and burlesque. He toured Europe with the show, and then it played off Broadway. Philadelphia producer Philip Roger Roy brought the original show to Grendel's Lair Cabaret in 1976. Roy and Weil then teamed up to recreate the show in Philly prior to a North American tour in 2002. Marcel worked with Michael on a Stratford East pantomime and drew him into the cast of the Smallest Theatre's version of the same pantomime (Jack and the beanstalk). 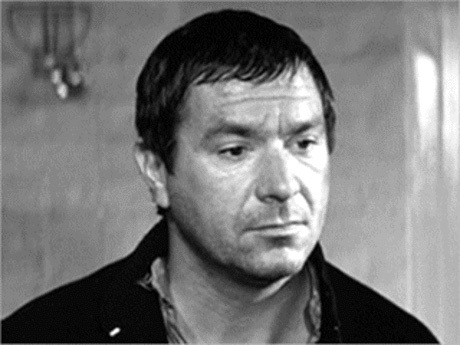 Michael Elphick was an English actor best known for his trademark croaky voice and his work on British television. He was particularly renowned for his roles as the eponymous private investigator in the ITV series Boon and later Harry Slater in BBC's EastEnders. Despite being best remembered for 'Boon', his career was no one-hit wonder. Elphick had been working in television for the past 33 years and his many excellent performances included Dennis Potter's Play for Today: Blue Remembered Hills (1979), as the bully, Peter; The Knowledge (1979), when he played a would-be London cab driver driven almost to despair by the sadistic examiner (played by Nigel Hawthorne); Private Schulz (1981), Auf Wiedersehen, Pet (1983) and Three Up, Two Down (1985). Elphick was also a part of a production of Little Dorrit (1988), alongside Marcel Steiner. Elphick landed parts in cult films such as The First Great Train Robbery and The Elephant Man and appeared in Lindsay Anderson's allegorical O Lucky Man! (1973). In 1983 he played the role of Pasha in the film Gorky Park, for which he received a 1985 Best Supporting Actor BAFTA Award nomination. He was also seen as Phil Daniels's father in the cult film Quadrophenia (1979) and as the poacher, Jake, in Withnail & I (1987). In 1984 he played the lead, Fisher, a British detective recalling under hypnosis a dystopian, crumbling Europe and his hunt for a serial killer in Lars von Trier's Palme D'Or nominated debut film, The Element of Crime. On stage, Elphick played Marcellus and the Player King in Tony Richardson's stage version of Hamlet at the Roundhouse Theatre and on Broadway and he later played Claudius to Jonathan Pryce's Hamlet at the Royal Court Theatre, directed by Richard Eyre. In 1981 he appeared in the Ray Davies/Barrie Keeffe musical Chorus Girls at the Theatre Royal, Stratford East and he was also seen in The Changing Room, directed by Lindsay Anderson, at the Royal Court Theatre. His last West End stage appearance was in 1997 as Doolittle in Pygmalion directed by Ray Cooney at the Albery Theatre, which is now known as the Noël Coward Theatre. Tim was another early cast member who played in the Smallest Theatre when he worked with Marcel at the Albany Empire. He both performed in the Smallest Theatre and wrote shows for it. Back in 1971, at the Citizens Theatre in Glasgow, a budding young assistant stage director by the name of Tim Webb met his wife-to-be Amanda who was working as an assistant designer to the great designer and director Philip Prowse. "We met," Webb remembers, "over a bacon sandwich in the cafe next to the theatre." Ten years later, along with their friend, composer and musician Max Reinhardt, they established children's theatre company Oily Cart. In the three decades which followed, the South London based company has become renowned throughout the UK and internationally for creating a unique brand of startlingly colourful, tactile, musical and interactive theatre for the very young, children and young people with profound and multiple learning disabilities, and kids and young adults with an autistic spectrum disorder. Indeed, the company's work has received such ringing endorsements that Webb was invited to Buckingham Palace last November to be given an MBE by the Queen. Interactivity, bold storytelling, wonderful music, imaginative puppets, gorgeously bright costumes and sheer, unadulterated silliness – are all quite typical of Oily Cart's remarkable theatre. Webb has been an actor and a writer for Theatre in Education companies in Glasgow and Greenwich. He has also worked with the legendary Marcel Steiner in his Smallest Theatre in the World, and was assistant director to Peter Cheeseman at the New Vic in North Staffordshire. Noel was a wellknown playwrite who worked at the Albany Empire at the same time as Marcel and inevitably performed inside the smallest theatre. As an English playwright, actor, director, teacher, mentor, animateur, artist and gay rights activist, it is safe to say that Noël Greig was a very well accomplished man. He wrote more than 50 plays, produced by companies ranging from young people's theatres to the Royal Shakespeare Company. His legacy embraces the hundreds of playwrights he taught and inspired, including more than 300 young people involved with the pioneering Transmissions programme since 1999, through whose writing his work will live on. In 1973 he moved to Bradford to join the General Will, a touring socialist collective theatre company, where he became involved in radical gay theatre, encouraging local lesbians and gay men to participate in new work. In 1977 he joined Gay Sweatshop, the London-based theatre company founded in 1975 by Drew Griffiths and Gerald Chapman, which reached out to universities, trade union venues and Campaign for Homosexual Equality groups as well as theatres by telling personal stories. With Griffiths, he wrote the groundbreaking As Time Goes By (1977), the first "historical" gay play, showing repression in three different time-frames: Victorian Britain, Nazi Germany and modern America. Greig formed the Brighton Combination with two university friends, Jenny Harris and Ruth Marks. Conceived as a commune with a cafe, bookshop and an experimental theatre studio created by Noël from a former schoolhouse, this was one of the very first "arts labs", following the introduction of the idea by an American, Jim Haynes, in London. The work in Brighton proved just as innovative, politically radical and iconoclastic. It is probably around this period where he came into contact with the great Marcel Steiner. By the 1980s, Noël had decided that if theatre was going to have any real impact on people's lives, then it had to address itself to younger audiences. 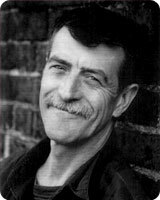 Plays such as Plague of Innocence (1988), about the Aids panic, commissioned by the Crucible, Sheffield, and extensive mentoring and workshop programmes, made Noël a pivotal figure in the development of playwriting for and by young people. The most famous face to have visited The Smallest Theatre in the World is none other than Meryl Streep. Marc Weil clearly remembers Meryl gracing The Smallest Theatre with her presence as an audience member during it’s touring years in America. As a multi award winning American actress, it is no surprise that Streep is regarded as one of the greatest actresses of all time. She has been nominated for an Oscar a stunning 18 times and has walked away as a winner 3 times. 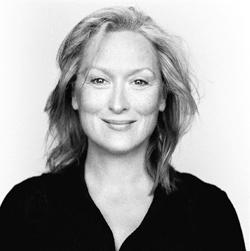 Streep has had more Oscar nominations than any other actor (male or female) in history. She has also received 28 Golden Globe nominations, winning eight, more nominations and more competitive (non-honorary) wins than any other actor (male or female) in history. Her work has also earned her two Emmy Awards, two Screen Actors Guild Awards, a Cannes Film Festival award, five New York Film Critics Circle Awards, two BAFTA awards, two Australian Film Institute awards, five Grammy Award nominations, and a Tony Award nomination, among several others. She was awarded the AFI Life Achievement Award in 2004 and the Kennedy Center Honor in 2011 for her contribution to American culture through performing arts, the youngest actor in each award's history. President Barack Obama awarded her the 2010 National Medal of Arts, and in 2003 the government of France made her a Commander of the Order of Arts and Letters. 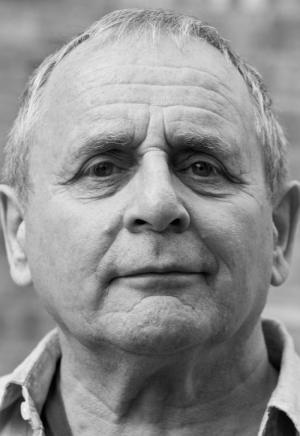 John Turner is probably the Smallest Theatre's most prolific writer, who wrote the final show that Marcel performed in and indeed stepped into his shoes when he was too ill to carry on. English playwright, actor and singer-song writer John Turner was the lead singer of a late ‘70s band called Rubber Johnny. John decided to take his band, formed for a show, on the road after the Albany Empire was burnt down by a sinister fascist organisation called Column 88, a racist and fascist political organisation which was active in areas of London where immigration had taken place including Deptford and the East End of London. They left their calling card at the Albany Empire when they burnt it down due to the Combination performing an anti-racist and positive community show hence the notoriety of Deptford referred to earlier. The Albany Empire had also been the birthplace of the music industry’s fight-back against the racist thugs in the area by forming an organisation called “Rock Against Racism” which had a big following and helped destroy the fascist menace to London’s community by the end of the 1970’s. Turner wrote and adapted many plays that ended up being performed at the Albany and other various theatres. All Who Sail In Her Albany Empire, London 1982. Beggars Can't Be Choosers Albany Empire, London 1984: It takes the modern London Streets as its stamping ground and looks at the honest lawlessness of people whose unemployment makes them desperate, and the criminality of those who exploit this very helplessness. Inspired by John Gay and Bertolt Brecht, with music by Caroline Noh and Paul Astles, and additional material by Robyn Slovo. Heroes Combination, Deptford, London 1977: Debunking of schoolboy heroes: Biggles; Dan dare; Sexton Blake; Alf Tupper and chums, with songs. By Noel Greig and John Turner. Labelled With Love Albany Empire, London 1983. Music And lyrics by Chris Difford and Glenn Tilbrook. Inspired by the Album "East Side Story" by The Squeeze. Race with the Devil Bird's Nest, SE8, London 1997: The legend of Eddie Cochrane and gene Vincent written by John Joe Turner and John Collis.